Length: 1 hrs. 26 min. 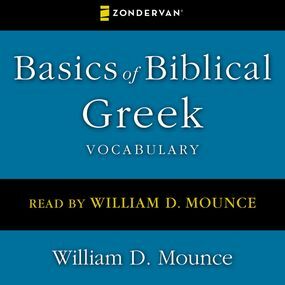 This audio download contains all the Greek words found in the vocabulary sections of Basics of Biblical Greek by William D. Mounce, presented in the order of the lessons. Students can therefore listen to and learn their vocabulary words while they are working in the house, driving, walking, and the like.